Anacapri Italian restaurant in Helmsore are holding a spectacular bonfire & firework display - there will be burgers, toffee apples, parkin and of course - fireworks! Entry fee is £1 with all proceeds going to Rossendale Hospice. 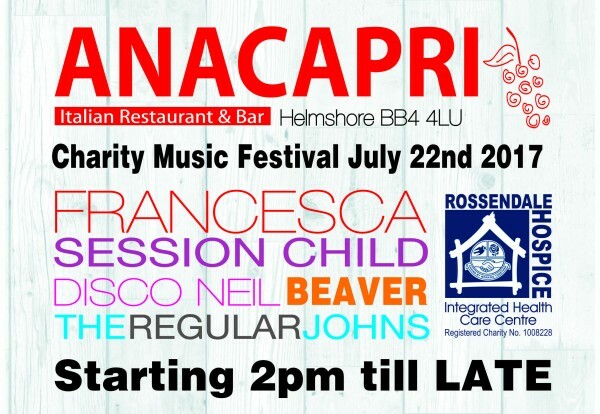 Anacapri is on Helmshore Road, Helmshore, postcode BB4 4LU.